Human rights lawyer, Mike Ozekhome (SAN) on Tuesday condemned the presidency for saying President Muhammadu Buhari would work from home because rats invaded his office. 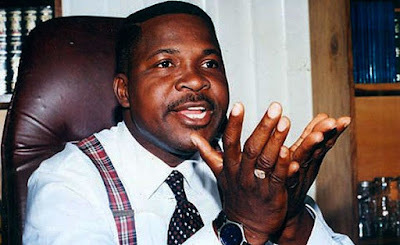 Ozekhome said Buhari’s presidency carelessly disrespects Nigerians, describing it as the worst since amalgamation by Lord Lugard and his wife, Flora Shaw. He said: “It is a very shameful and disgraceful statement that emanated from the presidency to the effect that PMB, after a whole 104 days abroad on medical grounds, cannot work from his office because of rats and rodents. “So, a whole Julius Berger, the German construction giant has to be called in to drive them away and repaint the office! “There is another mini office at the villa quite different from the official residence and main office. Let Buhari work from there. Let’s see our president working, not through still photo shopping. For how long will this government take the Nigerian citizens for a ride and for robots? “Nigeria is today more derided, more excoriated and more corrupt than it has ever been. Nigeria has never had it so bad since her forced amalgamation on January 1,1914, by imperious Lord Lugard and his wife Flora Lugard”, he told Thisday.